Go On And Discover Ontario! Ontario is one of Canada’s most iconic provinces. With so much to learn and discover, no wonder its catch-phrase is “yours to discover”! If you’d like to see Ontario from a different point of view, Ontario’s CN Tower is right for you. A wonder of the modern world, it is an important telecommunications hub, and a must see for visitors to Toronto. If you’d like to visit something that would cool you off during these record-breaking heat waves, how about visiting Niagara Falls? It’s a highlight for tourism in Ontario, and it’s clear, blue waters are quite a sight to behold. Finally, if you’re in for a gravity defying adventure, why not visit the Canadian National Exhibition? It is one of the largest fairs in Canada, with over 500 attractions, 700 exhibitors and 60 rides! It’s no wonder everyone loves to visit Ontario! 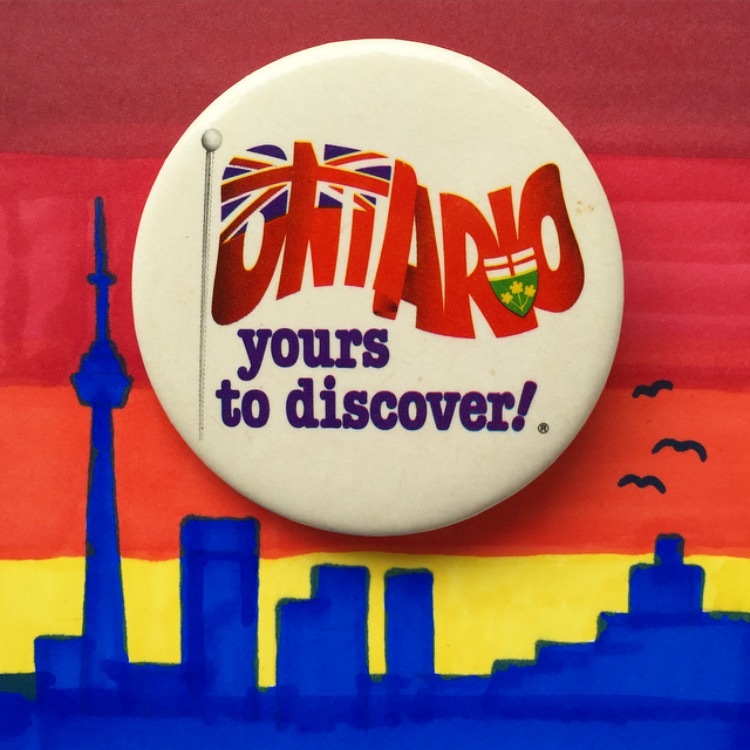 With all these visitors, these Ontario tourism buttons must have been made by the millions!